We know that having a new baby can be overwhelming and stressful, but it doesn’t have to be that way! That’s where postpartum doulas can be so helpful to families looking for professional care in the fourth trimester. We provide judgement-free support based on up-to-date evidence, and we come alongside you to make sure that you have exactly what you need in the moment to heal & bond with your baby. 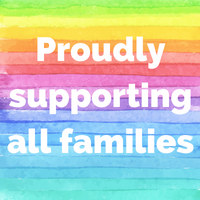 Oh, and we support partners and siblings, too! Emotional Support: Becoming a parent for the first time is filled with all of the newness, uncertainty—it’s one of the biggest changes you’ll ever go through! And if you have older children, your role as a parent will shift with them, too. Plus all of the hormones that come along with this time—emotions are riding high. That’s where postpartum doulas come in to help you process these emotions, provide a kind & listening ear, and a shoulder to lean on if needed. We are also trained to spot postpartum mood disorders and we can refer you to our favorite professionals if this is a part of your experience. We will stay right beside you every step of the way! Newborn Care & Education: Our postpartum doulas are all trained in newborn behavior & care, and they are happy to share their wealth of knowledge with you. Babies definitely don’t come with instruction manuals, but our doulas can show you tried and tested methods for baby calming, demonstrate infant massage techniques, help you master the swaddle, and even talk you through the first time you clip those teeny, tiny fingernails. Having our doulas with you is like having a great newborn care book come to life! Sleep: What an amazing thing it is to get a good stretch of sleep when you are parenting a newborn! One of our clients said that it was better than going on a Caribbean vacation, and we believe them. Our postpartum doulas can help you get a nap during their daytime shift with you, or you can schedule an overnight shift which is all about helping your family get a much-needed night’s rest. This is a game-changer for so many of our families! We can also help you learn more about newborn sleep and figure out how to get your baby into a good sleep routine along with sharing tips and tricks with you. Partner & Sibling Support: Having a newborn in the house is such a big change for everyone. We can help partners find their way in this time, too. Do you need some alone time together? We can make that happen. Your doula will also answer questions that partners have about baby care, bonding with baby, supporting their partners during their healing time, feeding questions…and the list goes on. Your older children are also making a huge adjustment with their new sibling, and we can be a support for them, too. From playing outside with them to helping them learn about baby care, we are happy to help them adjust to their new normal. We love supporting your entire family! Breastfeeding/Chestfeeding/Bottle Feeding: Whichever feeding method you choose, we’ll be there to support you. Our postpartum doulas are trained to support normal breastfeeding/chestfeeding, and we love sharing all our good tips with you. We also know when to call in more help if lactation resources are needed, and we’re connected to the best in town. We can also help you figure out pumping (how do all those parts go together? We’ll show you! ), and talk through best practices for pumping, especially if you are going back to work. If you’re bottle feeding, we can help you with that, too. Meal Prep, Errands, Cleaning: Running errands for you on our way to a shift or making you a nutritious lunch are only a few examples of how we can help you have more time to heal and bond with your baby. We aren’t housekeepers, but we are happy to do some light cleaning—think sweeping the kitchen floor, emptying the trash, doing a load of baby laundry, or organizing your changing table area. And we love making sure you have healthy snacks at the ready for one-handed eating while feeding baby! Referrals: You might need a lactation consultant, a massage therapist, or even a pet sitter or lawn care service. We have referrals for all of that! All of our doulas have access to the collective wisdom of the East Nashville Doulas agency, so if your doula needs help finding the right resource for you, they can rely on all of us to help you out. You have your village at the ready to help you in whatever way you need! Sounds amazing, right? You really don’t have to do it all. We can’t wait to help take care of you and your whole family! Our regular hourly rates are $35/hour for either daytime or overnight shifts. We have a 20-hour minimum for postpartum doula services. Most of our clients choose one of our packages above—Centered Care is our most popular package. The first step is contacting us today. We'd love to chat with you about your postpartum plans!